At Farmington Health Services, also known as Trinity Campus, you’ll find healthcare, housing and services that center on community. Our caring and comfortable living communities provide our residents with the respect and support they deserve. Welcome to Farmington Health Services. Welcome home. We treat everyone with compassion and dignity, with the talents, resources and relationships entrusted to us. We have passion to do our best. Take a look at some of our achievements and events. We dedicate ourselves to those we serve and deliver what has not been done, before it is expected. We faithfully adhere to high principles and standards. Give your time or donations to support our mission of care. 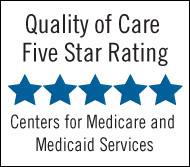 What sets Farmington Health Services apart isn’t just one thing; it’s everything. Get to know our community from our supportive services to our friendly staff.